The original postcard above was posted 1910 and is an early hand coloured one. 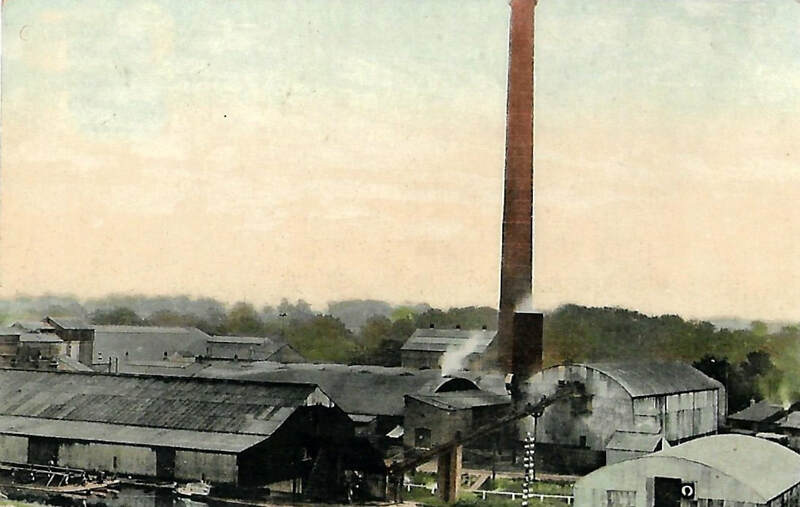 This view shows just how tall the chimney was to take away the 'fumes' produced during the paper process. One wonders just how difficult it was in its construction. 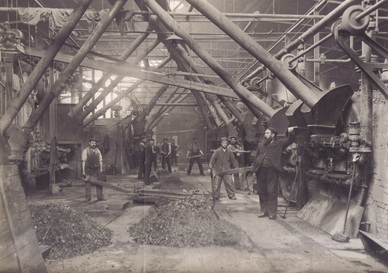 The coal travellator is in the foreground used for taking the coal from the narrow boats into the mill. The various buildings show how the mill expanded to the point where many had to be demolished to make way for improved modern constructions. 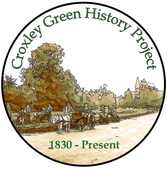 Coal deliveries to the Mill came from the north of England via sea transport into the London docks and then by boat to the mill via the canal system or straight from the coal pits in the Midlands also using the canal system. 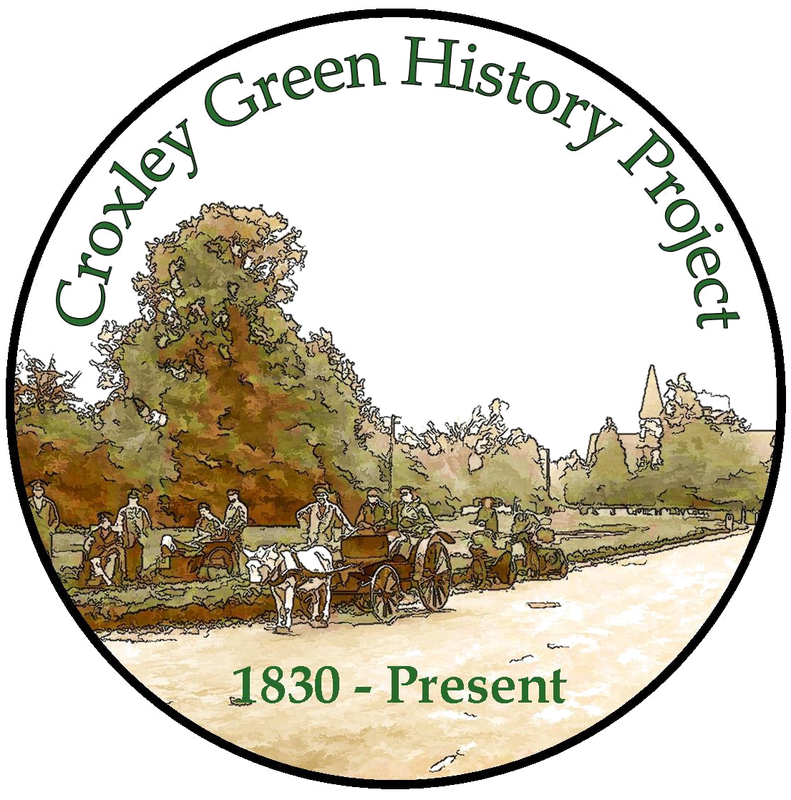 By the 1890’s Croxley Mill had under gone rebuilding and increased in size when the paper-making process was reorganised throughout all the mills. 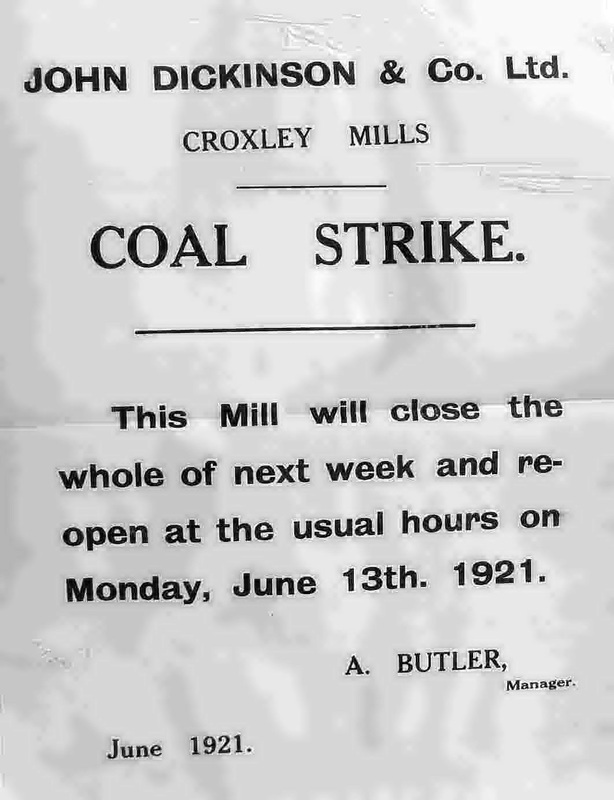 The paper production was now focussed at Croxley. 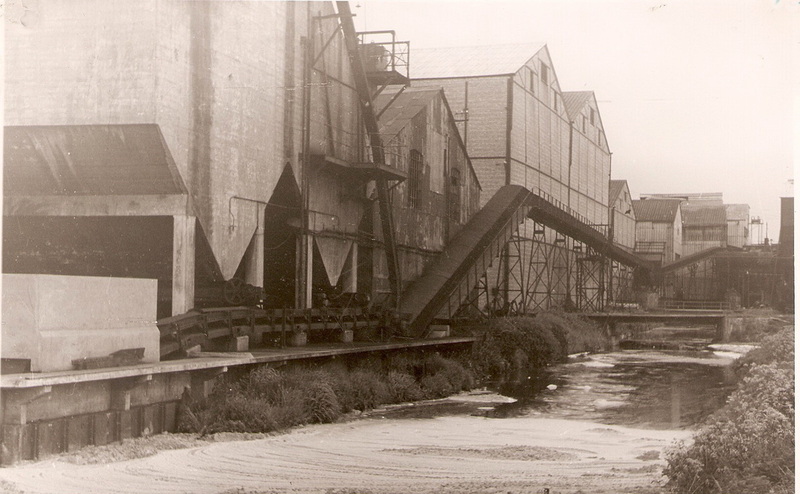 Dickinson’s other mills in the Apsley area concentrated on other aspects of the processing including envelope and stationery production. Paper was fast becoming a commodity that began changing peoples lives, consequently more equipment was installed at Croxley mill to accommodate this expansion. 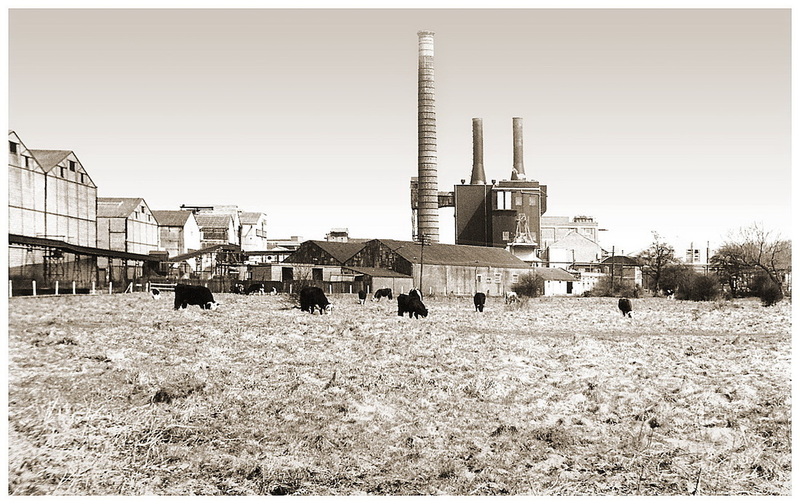 The power for driving the machinery was chiefly from coal-driven steam engines. 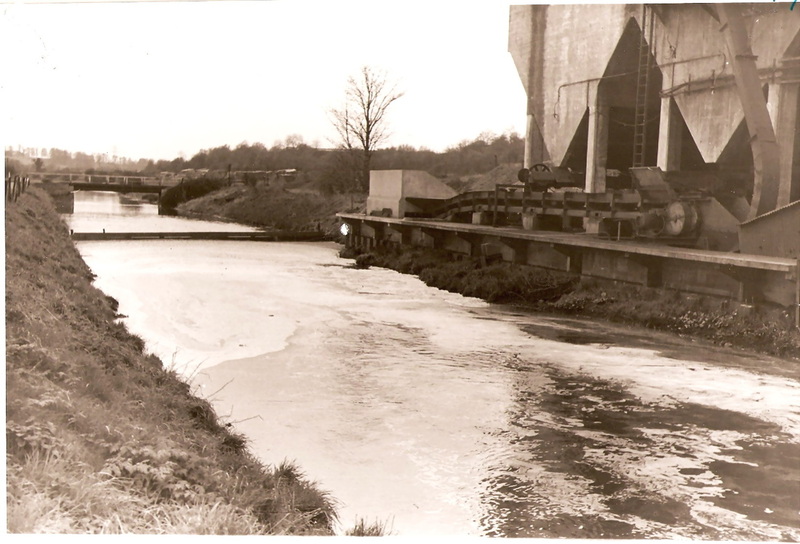 At this time the mill covered approximately five acres and the coal shed measured 200ft x 13ft and could hold up to 4,000 tons of coal. Cottages were built on site for the employees in the early years. They were also given the opportunity to purchase coal for home use. 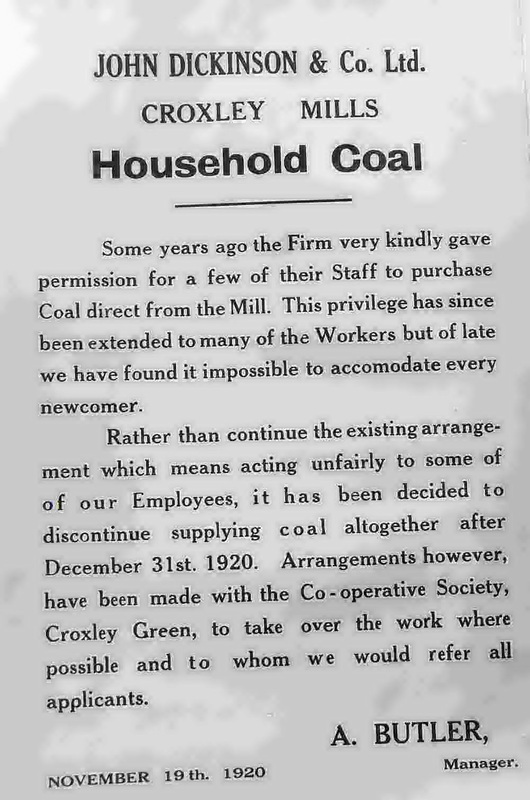 A national coal strike by coal miners in 1912, seeking and securing a minimum wage, was evidently worrying for the mill and employees. So concerned were they regarding this situation that the workers showed their appreciation by signing a declaration. 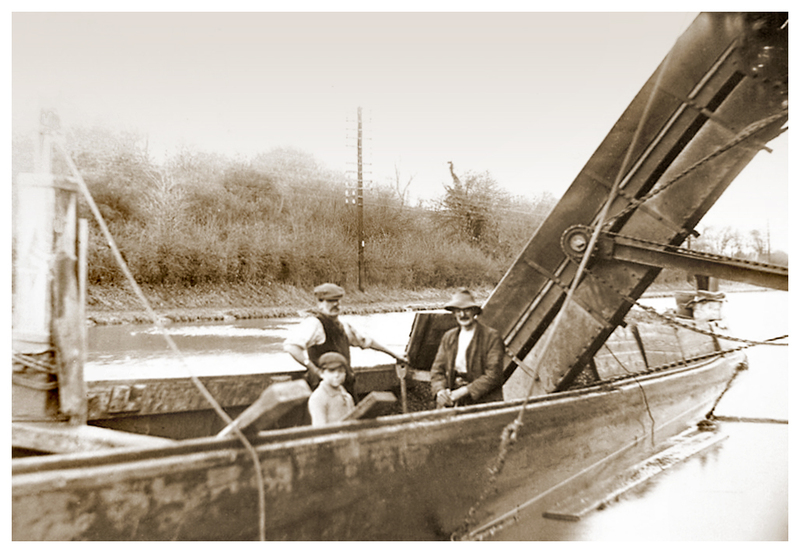 The last coal deliveries by boat were thought to have been delivered to the mill by canal boat in 1962 when the railway operation took over this function. Cottages were built on site for the employees in the early years. They were also given the opportunity to purchase coal for home use. 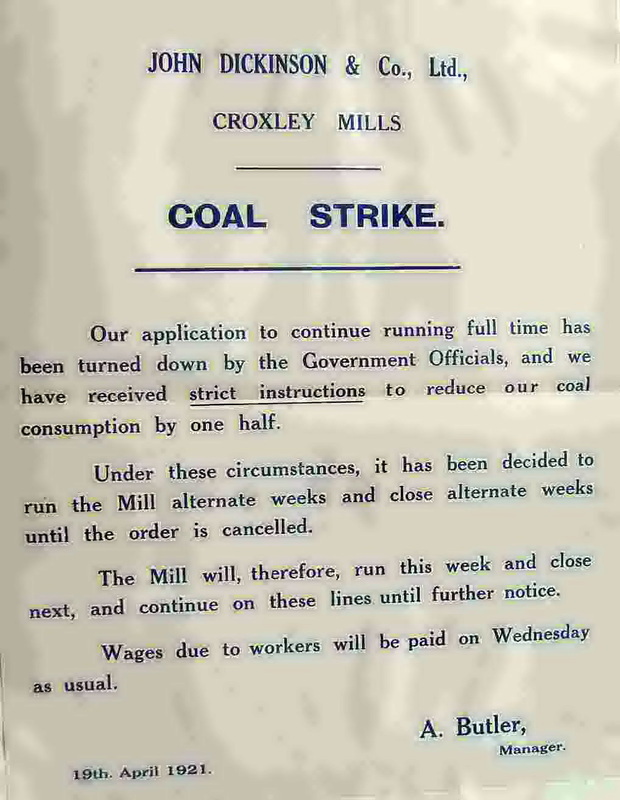 A national coal strike by coal miners in 1912, seeking and securing a minimum wage, was evidently worrying for the mill and employees. So concerned were they regarding this situation that the workers showed their appreciation by signing a declaration. 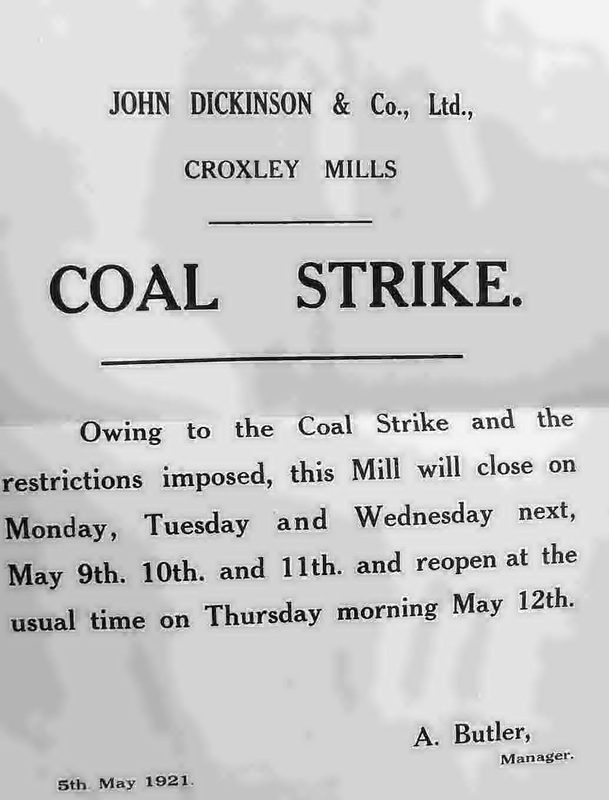 (see photo below) It would appear that the strike in March and April could vastly jeopardise the working day at the mill and the mill workers’ livelihood. 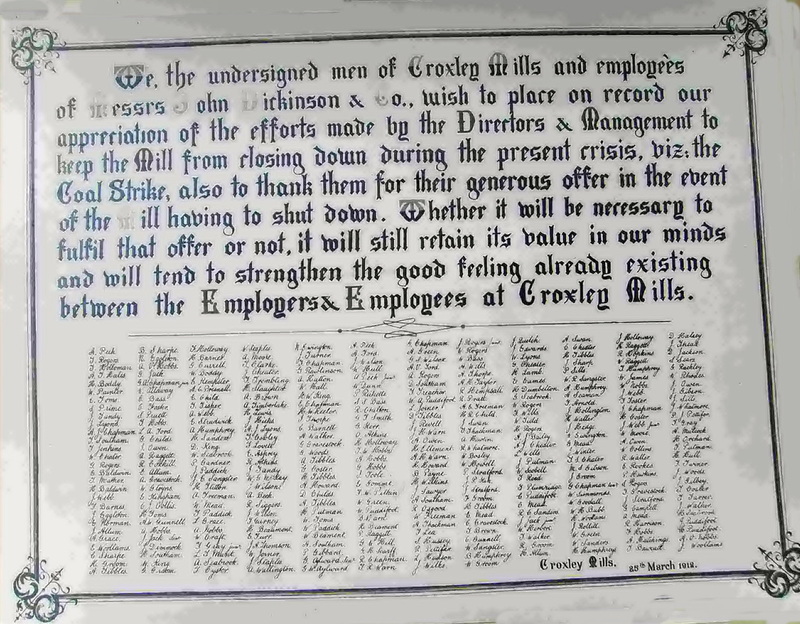 The declaration signed in March 1912 indicates that should such a closure take place the management would endeavour to put in place a scheme that would attempt to assure both the mill and its workforce. Even as early as the turn of the century the mill workers were treated with respect with generous benefits under Mr. Ling’s management. (General Manager over all the mills whose office was at Apsley). 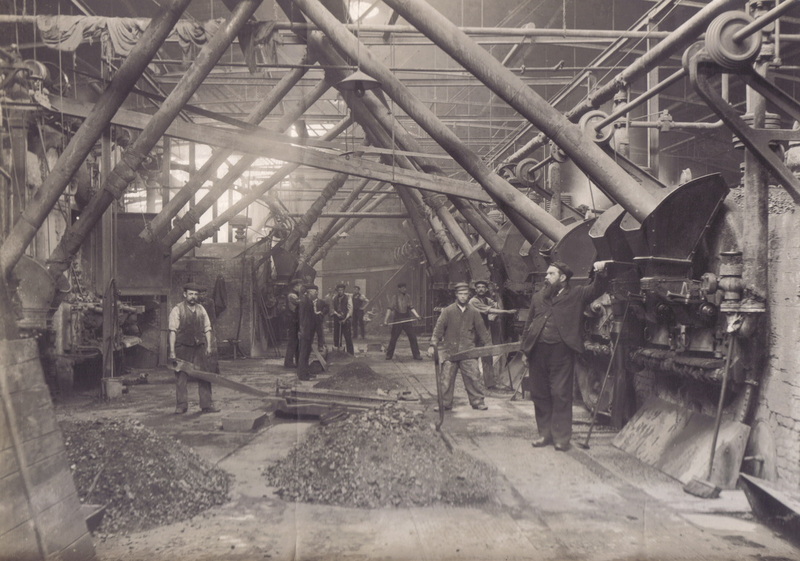 For example in1904 the Centenary of the firm, all workers at home or abroad were given double wages. Additional classrooms and bathrooms had been added to the Institute that year too and 6 acres had been purchased in 1911 for a recreation field.